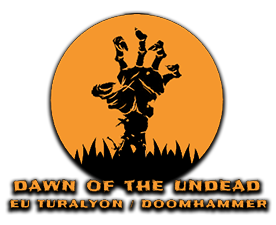 I’m David, (2) I’m 26, I’m based in Israel, and I’d like to join Dawn of the Undead’s raiding team in BfA. Until then, I’d love to be a part of DoTU as a social member. I’ve started playing WoW after the launch of WotLK. First as a Holy Pala, then as a Frost/Arcane Mage. I was a very active player (about 120 days /played during my 400 days of playtime) But I was juggling highschool, university and WoW, so I felt I couldn’t properly commit to a raiding guild with fixed raiding days. Instead I organized pugs and messed around with PvP. I haven’t played WoW during Cata, MoP, WoD, and Legion. I’ve started playing again because for the first time since WotLK I have the time for it. And unlike in WotLK, in BfA I’ve got the schedule control I need for committing to a raiding guild. I would love for it to be a long-term commitment to a guild I’d never consider leaving, and I believe DotU can be that guild. (1) I don’t have a significant class preference. In the few weeks since I began playing again I’ve focused on leveling all classes, so I’ll have an easier time learning about the mechanics of each class, and also because I would like my main to be the class and spec that is the most suitable addition to the guild’s current roster. Obviously, I’ll optimize my usage of the class you’d like me to use and will make sure to have the best gear RNG can provide for the first raiding week of BfA – I even made a time-efficiency spreadsheet for launch week, so you know I’m serious! (3) Yogg-Saron - an ancient, tyrannical tentacle-god that turns everyone around him insane, spending eternity to develop a slowly unfolding masterplan to unleash him from imprisonment. My life would remain exactly the same. (4) I do have an authenticator. (5) Fall of the Lich King (10 player) – though not mechanically difficult, considering it was done several weeks after lich king was released. I was proud of accomplishing it as a pug leader, both because as far as I know it was the first pug to do it on Doomhammer, and because at the time, I hadn’t thought of myself as someone who can lead a raid group. I spent hours screening players who wanted to join, turning players down over minor details (which wasn’t always a popular choice among the raiders, but I believed the kind of player who’ll commit to a random pug to beat ICC is the kind of player who doesn’t boost their gearscore with pvp items, or is too lazy to get any enchants/jewels). And I gave detailed mechanical info before every boss, assigned duties and spots to each player, and managed to calm the negativity that comes with wiping three hours into a raid. (6) None of my characters are in a guild and have not been in one for at least 8 years. (8) I’m ambivalent to profanity. I easily relate to people who are put off by it, it’s harder for me to relate to people who consider it a requirement for a fun guild chat. (9) Yes. I think my unbearably tedious answers show just that. I’ll actively avoid writing four paragraphs on why that’s my answer. (10) I genuinely do. This is the only guild application I’ve ever written. I believe my armory pages would offer you no interesting information – they’re filled with questing greens. My raiding progress will show raiding inactivity for 4 expansions and limited raiding activity in WotLK. I suppose in that regard, accepting my application is a bit of a gamble. But I’d like to believe that after reading my application and talking to me directly, you’ll come to believe the odds are in your favor . After a long chat, many questions and really honoust answers.. Accepted! Welcome to the team bud.